The glory of the Socchi Olympics is now down in the history books, but the Olympic spirit is ramping back up for the 2014 Paralympic Winter Games. Lynn Ware Peek has more. Park City resident Stephani Victor competing in the Sochi Paralympics crashed Sunday and had to be transported off the mountain by helicopter. KPCW's Leslie Thatcher has more. 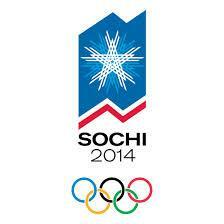 The athletes of the U. S. Ski and Snowboard Association aren't taking much of a break after the Sochi Olympics. Spokesman Tom Kelly had a roundup of the intercontinental action last week. Rick Brough has more. The Winter Olympics are over and done, but there's something the Games have left behind. It's inspiration for the aspiring winter athletes of Park City. Lynn Ware Peek has more.